If you are looking for a sweet baby shower gift or take-me-home outfit, come on over to My Little Jules boutique. From an abundance of designer baby boutiques online, My Little Jules offers the best selection of baby apparel and gifts from such designers as Lemon Loves Layette, Haute Baby, Frilly Frocks and many more. 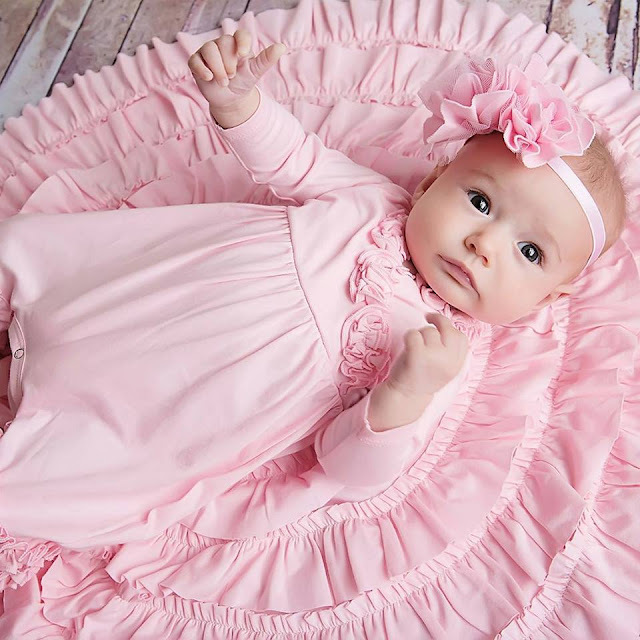 From vintage-inspired fanciful baby gowns, to cute everyday rompers and special occasion sets, whatever it is you are looking for, we have a wide selection of designer baby items to help you find what you need. Another reason to pick My Little Jules from designer baby boutiques online, we offer free US shipping on all orders of $50 and up!